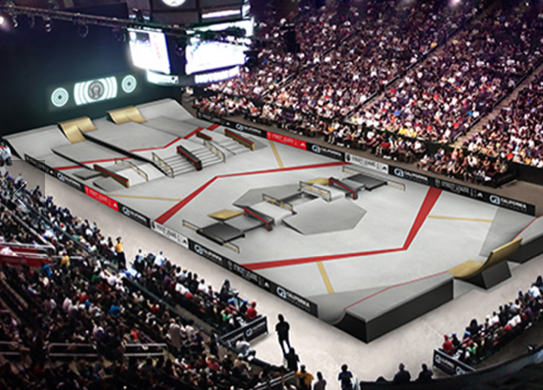 The "Super 8" qualifiers are locked, the stage is set, and the 2013 SLS Nike SB Super Crown World Championship showdown is ready to roll. Here's our first glimpse at the battlefield that will decide it all. (These are the same sketches the pros get.) See them all. The entire Newark course is actually much more basic than many of the elaborate designs California Skateparks has come up with throughout the season. This will ultimately let the skating do the talking and provide a neutral battleground for the final eight to duke it out on for the $200,000 grand prize and the custom Nixon diamond watch.